Estelí, Nicaragua & Bünde, Germany- Joya de Nicaragua S.A and Arnold André GmbH & Co. KG are pleased to announce their exclusive distribution agreement for Germany. Starting September 19th, 2014, Arnold André will market, sell, and distribute Joya de Nicaragua cigars, including the newly released Joya Red. “Germany has been one of our Company’s most important markets for many decades. It is with great pride that we begin a new phase of growth hand by hand with Arnold André, a company in which we have found the ideal partner to help us deliver enjoyment to more German consumers, by bringing them closer to Nicaragua’s very first and most authentic cigar”, indicated Dr. Alejandro Martínez Cuenca, Chairman & CEO of Joya de Nicaragua. During the upcoming Inter-Tabac 2014 tradeshow in Dortmund (Sept 19th – 21st), German retailers will be able to experience and enjoy Joya de Nicaragua through Arnold André. Both companies will be present during the Tradeshow in booths 4A.14 and 4D.18 respectively. Until mid 2014, Joya de Nicaragua was distributed in Germany by Villiger Söhne GmbH. For additional information please contact press@joyacigars.com. JOYA DE NICARAGUA S.A., is a family owned, Nicaragua-based cigar factory that handcrafts traditional cigars for the premium luxury cigar market. First opened in 1968, it is Nicaragua’s oldest cigar factory in operation and home to the legendary JOYA DE NICARAGUA® brand of cigars. Based in Estelí, JDN is regarded by many as the patriarch crafter of unique puro blends of locally grown tobaccos, and its cigars are sold in more than 40 countries around the world. JOYA DE NICARAGUA is a registered trademark of Joya de Nicaragua S.A and/or affiliated companies. 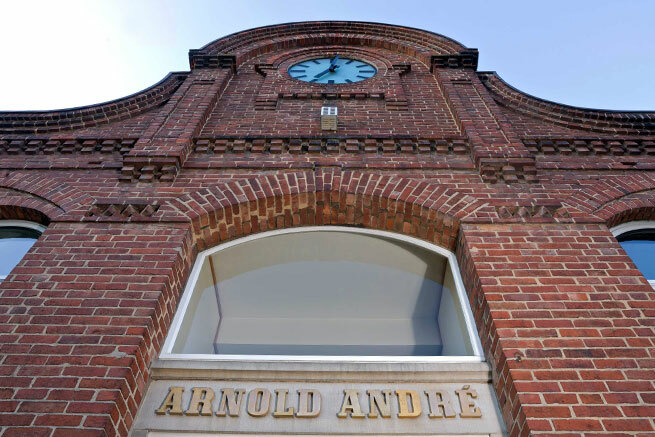 Arnold André, located in Bünde in East-Westphalia, has been a family-run company for seven generations now. The company was founded in 1817 and is now Germany’s largest producer of cigars and the second largest producer of cigarillos. Arnold André has clearly established itself more internationally in recent years. So meanwhile, more than half of the cigars and cigarillos are exported abroad, and this trend is increasing. This went along with foundation of distribution companies in France and Portugal. A factory in the Dominican Republic was founded in 2011. Arnold André is very well positioned, both in the German and international market. For more information, please visit www.arnold-andre.info.